Because the Internet has changed and is changing the ways in which we think and act, it must also be changing the ways in which we think Christianity and its theology. 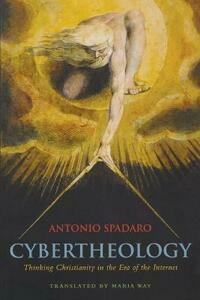 Cybertheology is the first book to explore this process from a Catholic point of view. Drawing on the theoretical work of authors such as Marshall McLuhan, Peter Levy, and Teilhard de Chardin, it questions how technologies redefine not only the ways in which we do things but also our being and therefore the way we perceive reality, the world, others, and God. "Does the digital revolution affect faith in any sense?" Spadaro asks. His answer is an emphatic Yes. But how, then, are we to live well in the age of the Internet? Spadaro delves deeply into various dimensions of the impact of the Net on the Church and its organization, on our understanding of revelation, grace, liturgy, the sacraments, and other classical theological themes. He rightly points out that the digital environment is not merely an external instrument that facilitates human communication or a purely virtual world, but part of the daily experience of many people, a new "anthropological space" that is reshaping the way we think, know, and express ourselves. Naturally, this calls for a new understanding of faith so that it makes sense to people who live and work in the digital media environment. 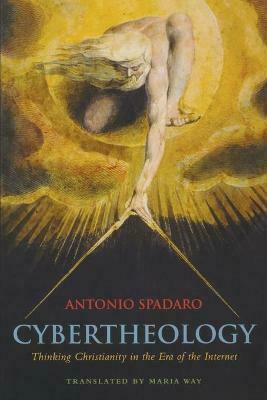 In developing the notion of cybertheology, Spadaro seeks to propose an intelligence of faith (intellectus fidei) in the era of the Internet. The book's chapters include reflections on man the decoder and the search engines of God, networked existence and the mystical body, hacker ethics and Christian vision, sacraments and "virtual presence," and the theological challenges of collective intelligence.